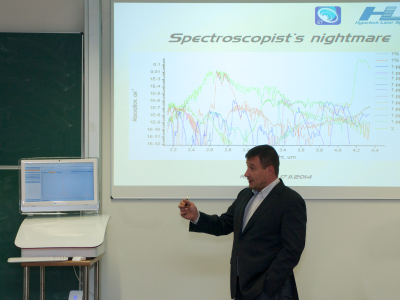 Special technologies, Ltd. in collaboration with HLS Hypertech Laser Systems GmbH represented prototype of laser spectrometer LaserBreeze on a workshop in university of Hochschule RheinMain (November 17, 2015, Ruesselsheim, Germany). Also, our colleagues had a talk Demonstration of photo-acoustic spectrometer based on wide tunable laser mid IR source from 2.5 µm up to 10.7 µm for noninvasive medical diagnostics. 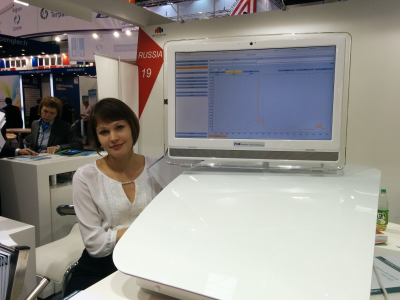 Special technologies, Ltd. took part at the collective exposition of the stand of The Ministry of Industry and Trade of the Russian Federation at MEDICA (12-14 November 2014, Düsseldorf, Germany). At the trade-fair Special technologies, Ltd. was presented laser gas spectrometer for analysis of the exhaled air LaserBreeze. Taking into account the wishes of potential customers we received last exhibition a new modern design of the device has been developed. 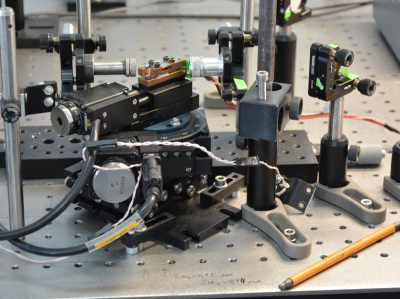 Design concept to ensure rapid access to the optical block of laser spectrometer was changed for ease of alignment and adjustment during operation of the device we have. 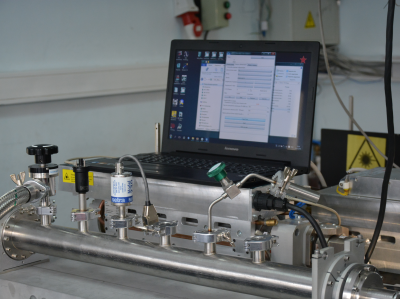 Spectrometer LaserBreeze has received high assessment from Russian and foreign colleagues. The young scientists of our company were participated in conference Laser Optics 2014. They are presented a report "Widely tunable Mid IR source based on optical parametric oscillator". In this report was announced solution of the development of wide tunable optical parametric oscillator based on periodically poled lithium niobate (PPLN) and mercury thiogallate HgGa2S4 (HGS). 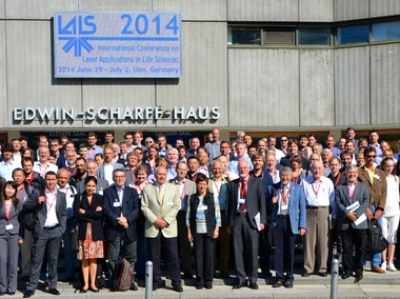 Special technologies, Ltd. took part at the International Conferences LALS (June 29 - July 2, 2014, Ulm/Neu Ulm, Germany). Our team was submitted poster presentation "Noninvasive express diagnostics of pulmonary diseases based on control of patient’s gas emission using methods of IR and terahertz laser spectroscopy" in section "THz Spectroscopy and Imaging" (see here for more information). 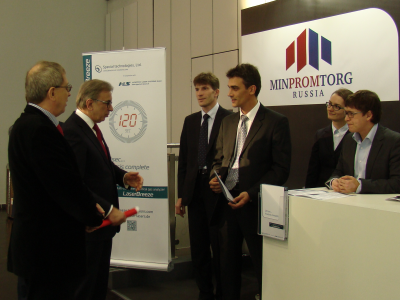 Special technologies, Ltd. took part at the collective exposition of the stand of The Ministry of Industry and Trade of the Russian Federation at MEDICA (20-23 November 2014, Düsseldorf, Germany). It was first expression of prototype of laser spectrometer LaserBreeze for exhaled air analysis of patients with bronchopulmonary diseases. Medical laser spectrometer has been praised, deserves approval and support among participants and visitors of the exhibition MEDICA-2013. The seminar was devoted to discussion of fundamental and applied problems in the generation, recording and coherent interaction of terahertz radiation with matter. At the seminar result of the experimental work of developing terahertz radiation source with optical pump was represented. 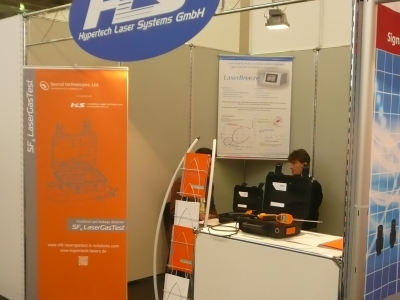 In collaboration with HLS Hypertech laser Systems GmbH (Luebeck, Germany) Special technologies, Ltd. took part at the leading forum for sensors, measuring and testing technologies worldwide SENSOR+TEST 2013 (May 14-16, 2013, Nürnberg Exhibition Centre, Germany). At the exhibition production sample of laser insulation gas leakage detector SF6 LaserGasTest was presented. In parallel to the exhibition was AMA Conferences "SENSOR 2013" and "IRS² 2013" where scientific facts and outlooks were represented for the future of this industry. Specialists of Special technologies, Ltd. introduced in the first time principle of operation laser spectrometer for medical applications LaserBreeze. 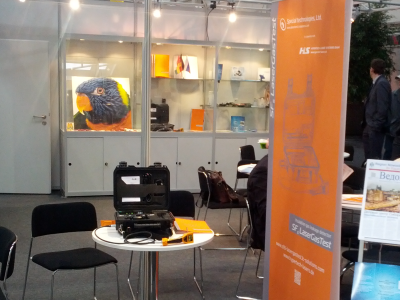 HANNOVER MESSE is the world's leading industrial show. HANNOVER MESSE covers a wider range of themes and exhibits than any other event – R&D, industrial automation and IT, industrial supply, production engineering and services, as well as energy and environmental technology. At the collective exposition of the stand of Novosibirsk region (Russia) Special technologies, Ltd. introduced for the international industrial community insulation gas leakage detector SF6 LaserGasTest. 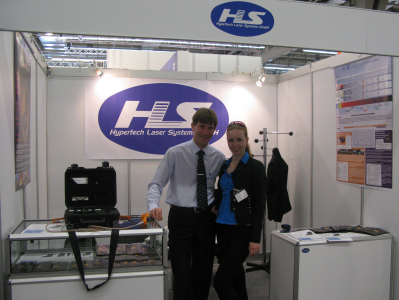 In collaboration with HLS Hypertech laser Systems GmbH (Luebeck, Germany) Special technologies, Ltd. took part at the leading forum for sensors, measuring and testing technologies worldwide SENSOR+TEST 2012 (May 21-23, 2012, Nürnberg Exhibition Centre, Germany). It was the world-wide premiere our developed insulation gas leakage detector SF6 LaserGasTest.